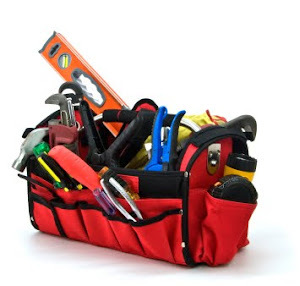 We can take care of all your building maintenance from plastering and house painting, carpentry, tiling and flooring, roofing, leak repairs, renovations and additions. As part of your on going house painting maintenance schedule, your roof is the easiest to overlook...until that leak appears over the bed and wakes you up on a stormy night. No matter what sort of roof you have, you will want to keep on top of the building maintenance. If you have terracotta tiles, shingles (either slate or bitumen) or copper, you wont need to worry about adding it to your house painting schedule, as these roof won't need painting. However these types of roofs will still need a roof repair professional to go over it. Give us a call at Banks Building and we'll be happy to help you sort it. Have it cleaned every few years to get rid of the moss and gunge, also any lifting tiles, loose fixings or broken mortar and capping need to be dealt with by a building maintenance professional.While it may cost a few thousand dollars to bring your roof up to par, you will be saving those dollars many times over in avoiding a full re-roof by keeping up on the roof repairs and maintenance. You can add years to your corrugated or concrete tile roof with a few coats of paint, and it will look so much better after dealing with that much needed roof maintenance and roof repair. When you are looking at getting a roofing contractor to price your roof repairs and house painting make sure you get references and testimonials of course, but also make sure you get a specification on what type of paint they will use and how may coats will be applied as this will make a big difference to the life of the paint job. When it rains outside you’d like to be dry and warm inside your home. 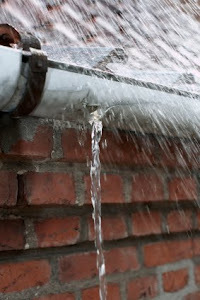 Having a well maintained roof, without leaks, will help you achieve this :-). Below a few tips on how to maintain your tiled roof. One of the most common causes of a leaky roof is a faulty tile. Old roof tiles may have small cracks in them which are only visible when you look at them closely. You might have a few spare tiles lying around and replace the tiles yourself, but if you lack the time or working on a roof is not your thing, don’t hesitate to give us a call. Banks Building can source and replace tiles on your roof. Small cracks in the mortar are fairly easy to repair, using mortar. This process is called re-mortar and repointing tiles. Not only will your roof look much better, the repair will also make your tile roof more secure and watertight. The cement can be coloured to match the colour of your tiles. There is a great product called Flexipoint, a trowelable, custom coloured, permanently flexible adhesive which is suitable for this job. However, since the repair involves climbing around on your roof you might want to leave this one to the professionals. If the mortar is too far gone, the roof mortar should be completely removed, re-bedded and repaired. Be careful when you climb into your roof space to check tiles. Below a great post on how to dispose of old paint by a painting company in New York. Latex paint is very similar to Acrylic paint, both are water based. Acrylic is a bit more elastic than Latex paint and more suitable for harsh weather conditions when used as for exterior painting. I get asked alot about how to dispose of old paint. 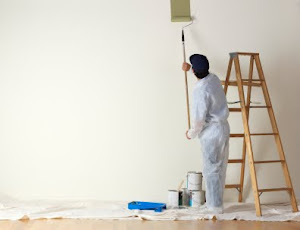 There a few safe methods of disposing of old latex paint. These methods are a safe alternative to just throwing the paint into the trash. 1) Contact your local recycling center. Latex paint is recyclable and a lot of paint companys are recycling old latex paint. 2) You can donate it to an organization, such as Habitat For Humanity. 3) Latex paint is not hazardous, as of 1992 it has not contained mercury, you can leave the lid off of it, add cat litter to it, let it harden and put it out with your regular trash, but it has to be hardened. Banks Building recycles old Acrylic paint. Painting and Decorating today is made easier with the wide range of easy to use DIY products and non toxic paints and repair compounds. Still the elbow grease is needed to complete any painting and decorating task. Anyone will tell you that preparation is the key to a fine finish, so tackling the finishing plastering of any wall or ceiling should be left up to a professional plasterer. However the laborious task of removing wallpaper you can tackle yourself and in most cases it will save you thousands of dollars. The time it will take to strip a room will depend on the type and age of the wallpaper. Vinyl wallpaper from the 60's onwards is realitively simple to remove as all you will need to do is rip the surface layer of by lifting a corner and pulling. For tough glues you will need to steam the surface after perforating the vinyl layer. You can buy a small mouse like device with spiky wheels that will do the job. Start in one corner and concentrate on one area at a time moving only when that area is finished. It will seem slower than running around the easy bits first then going back to the difficult bits later, but you will get a better finish in the end. Use a flat scraper only on the flat side only. This may sound obvious but don't gouge your wallboard if you can help it, let your steamer do most of the work. Before you repair or plaster make sure the board is secure to the framing, here is where a few screws or nail will stop any cracks or nail pops from coming through you finished painting and decorating job. If you are planning to re wallpaper make sure you 'size' or seal the wall board first. If you are planning to paint you will have to plaster first as the original finish wont be up to a high quality painting and decorating standard. Make sure your professional plasterer uses paper tape on the sheet joins. 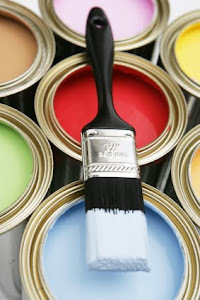 You may also need a coat of 'pigmented sealer' to stop any residue of glue coming through your house painting top coats. Unfortunately the best sealer is oil based so wear a mask and have good ventilation. Don't worry if you make a mess of the wall due to stubborn glue, your plasterer will skim a flat coat of plaster to hide any damage. Unfortunately there are no real short cuts to a proper painting and decorating job. The finish is the reward to your efforts. In today's post relating to house painting I'll give some detail on painting timber windows or painting joinery. This has to be the single most expensive and important part of your house when it comes to painting, maintenance, insulation, noise control. Windows are also the most common point of entry, not only for thieves, but for water as well! If you are like me, and own a house built before the 1970's, or if you just like the look and feel of timber joinery you will be facing regular maintenance if you want to keep on top of any issues. In your house painting schedule you may want to tackle the windows twice as often as the rest of the house. Your joinery will need more care as they attract moisture due to condensation and due to the many angles and faces will be harder on your painting and decorating efforts. First thing to do is to check to see if there is any place where water can get in and fill using the appropriate Selleys product such as No More gaps or Permafill. Check your flashings for rust and architraves for rot. If you are unsure ask your house painter or building maintenance specialist. You can give us a call at Banks Building. Before you start painting, make sure all your opening sashes are not touching on closing as this will cause them to stick when the paint dries. Choose a light colour as darker colours will attract more heat from the sun and need more maintenance. High gloss paints are the best as they have less surface area creating a stronger chemical bond between the timber and the paint. However, when you use high gloss paint, extra preparation will be required to achieve a good looking finish on your painting and decorating project. Next get your window putty replaced by a professional if it is falling out. Then scrape and fill as per normal painting preparation. Now is the time to repair any cracked window panes and rusty hinges. If repairing windows looks a bit daunting, give us a call at Banks Building. Go the extra mile and get thicker laminated glass and stainless steel hardware, its worth the small extra expense. 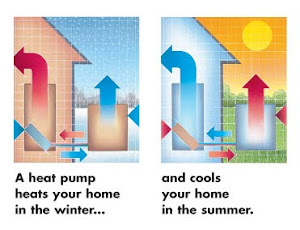 If you are considering any draft prevention get a quote and advice from your maintenance professional at this stage. I'll cover this area in a later post. Remember; the extra preparation now will save you thousands of dollars in the future and will give you a longer lasting result on your painting and decorating project. Use only high quality paints and fillers such as Dulux, Resene and Selleys brands they are worth every cent in the long run. To finish use oil based undercoats and acrylic enamel topcoats, lighter colours may require 3 coats. Here are a a few more tips on house painting and decorating, to help with your home renovations projects. You leafed through a few magazines and got inspired with some great interior design ideas and fantastic paint colours. You'd like to freshen up a room in your house, which has this super ugly wallpaper on the walls. Ok... so you've tried removing some of the ugly wallpaper and you've realised what a mammoth task it actually is (painting and decorating is not as easy as it looks!). Now you're thinking........lets paint over it instead! Before you get your house painting gear out, let's first check the state of the wall paper. You will have to make sure the wall paper is glued down well enough to paint over. Well...... we can fairly safely assume its well glued down, since you gave up on the wallpaper removal job. Either that, or you want to keep the painting and decorating to a minimum effort. If the wallpaper is lifting away from the wall anywhere, then now is the time to glue it back down with some PVA or wallpaper glue. If it keeps curling away from the wall, you may need to tape or staple it down temporarily until the glue dries. Next you need to roll the area with pigmented sealer to make sure you paper doesn't lift during painting and decorating. If there is already a coat of paint on the wallpaper, you can skip ithis step. Apply the pigmented sealer. If the paper bubbles, don't panic straight away. Just wait untill the paper is dry, as often these bubbles go away by themselves. If there are lots of bubbles and they don't go away when dry, I'm afraid you will just have to give up and strip the paper off the wall before painting and decorating. Or give us a call at Banks Building Maintenance to get a free quote on doing the painting and decorating for you. We have good house painter on the books. Tip: Yes you should use the oil based sealer. Next, plaster repair any holes or scratches you want to hide. This may not be easy due to textured paper, but get creative, you can hide lots under and good painting and decorating job. In your house painting kit you should have a few textured rollers to roll over fresh repairs to add texture. If the wall is really bad you may consider a skim coat of plaster over the whole wall. I suggest you leave this up to your professional plasterer. Please give us a call at Banks Building Maintenance for a free quote. 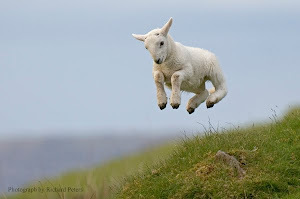 Finally use a low sheen washable paint like Dulux Wash n Wear or Resene Space Coatto paint your wall. Remember don't be too critical of your finished work. You will always see any tiny fault, because you are up close and personal with your latest house painting efforts. In my previous blogs I’ve given a few tips on painting and decorating. But before you paint a room, you better make sure the walls are in good condition. Paint won’t hide any cracks or dips and dents; on the contrary, paint is far more likely to highlight any flaws. To clarify, in this blog I’m talking about repairing walls lined with Gib board. Normally these walls have timber frames. These are the most common interior walls found in New Zealand houses. Plaster walls usually have cracks due to the house "settling" in its foundation, or are damaged where furniture or doors have struck the plaster. At first, repairing plaster damage seems like a daunting task. But take your time to plaster and paint properly, and you will get solid, long-lasting results. If it still seems a bit daunting after reading the below, call me at Banks Building Maintenance. Note that in today’s blog I will focus on fixing small cracks in a plaster wall. For large cracks which run through the entire Gib board (so the board is basically cracked right through, this usually happens where boards are joined) a more extensive repair is required. I’ll write more on fixing larger cracks and holes in another blog. Can’t wait? Call me for a quote to plaster and paint it for you. 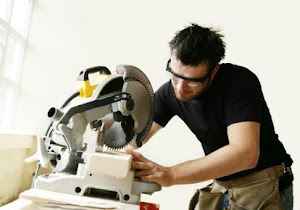 Tip: Safety first, so make sure you are wearing a dust mask, eye protection and work gloves. Keep the area where you are working well ventilated. If you are repairing a larger crack, you might also want to move furniture away and put down drop-sheets to protect from dust. Before you start your plaster and painting project, clean the area with Sugar Soap. This will take all the fat and grease of the wall, which will help the repair products stick a lot better. Selleys sells a great product for this purpose, called Selleys Liquid Sugar Soap. Wait for wall to dry thoroughly. First make sure the crack is dry. Then clean the crack, using a scraper to rake out any loose material. Remove dust from around the crack, you can use a vacuum cleaner for this. Loose dust can prevent your new plaster or filler from bonding with the existing plaster. Ideally the crack is at least 1-2mm wide, which helps to make sure that the filler gets into the crack. With a very fine crack, open it a bit further if necessary, using a utility knife. Using a putty knife, fill the crack slowly with filler. Rigid fillers are designed for filling gaps, cracks or holes in a solid surface where a smooth and even finish is required, for example repairing walls and ceilings. Selleys sells a good product which you can use for this: Selleys Spakfilla Squeeze & Scrape. Make sure that the product gets into the crack. You will only need to use one application. Wait 30 minutes for the filler to dry (or longer, if the crack is deeper than 2mm), and then sand the area until it is smooth and level. Clean any dust or filler particles away, and then you’re ready to paint. If you’re using water-based paints, you can apply the paint straight away. If you are using oil-based paints you should wait for 24 hours before painting. Tip to achieve a high quality finish: After repairing the cracks, apply sealer/primer before painting your 2 topcoats of coloured paint. You can use a product like Resene Broadwall 3 in 1 or Resene Broadwall Surface Prep& Seal. These products are easy to sand and help to smooth any minor surface irregularities. This will help you to achieve a professional looking finish. Lack the time to repair your walls? Call Banks Building Maintenance. If the job is too large for you to fix, or you simply lack the time, please give Banks Building Maintenance a call to help you with your plastering and painting project. Eigenaar van Banks Building, het klusbedrijf voor Alkmaar en omgeving Van kleine klusjes tot complete verbouwing, bel voor een vrijblijvende offerte voor al uw klussen zoals schilderwerk, reparatie van lekkages, stukadoorswerk, timmerwerk, zetten van tegels, installeren van sanitair, leggen van laminaat of kleine klusjes zoals het ophangen van een spiegel.